We advice caution when travelling to Tunisia. Tunisia is a country in Africa (Northern Africa) with around 11 million citizens and a land mass of 163,610 km². We detected travel advisories from 8 sources for this country. Tunisia shares land borders with Libya and Algeria. For these countries, the individual warning index is 5.0 (Libya) and 2.8 (Algeria). See danger map of the region. Exercise increased caution in Tunisia due to terrorism. Some areas have increased risk. Read the entire Travel Advisory. Do not travel to: Within 30 km of southeastern Tunisia along the border with Libya due to terrorism. Mountainous areas in the country’s west, including the Chaambi Mountain National Park area, due to terrorism. The desert south of Remada due to the military zone. Jendouba south of Ain Drahem and west of RN15, El Kef, and Kasserine, next to the Algerian border due to terrorism. Sidi Bou Zid in central Tunisia due to terrorism. Terrorist groups continue plotting possible attacks in Tunisia. Terrorists may attack with little or no warning, targeting tourist locations, transportation hubs, museums, resorts, hotels, festivals, nightclubs, restaurants, religious sites, markets/shopping malls, government facilities and security forces. A country-wide state of emergency, which grants security forces more authority to maintain civil order and enables the government to focus on combating terrorism, is in effect. The U.S. government has limited ability to provide emergency services to U.S. citizens in some areas of Tunisia. 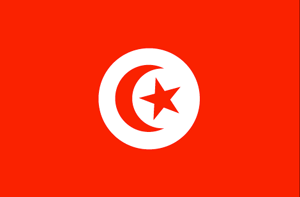 U.S. government employees must obtain special authorization to travel outside greater Tunis. Read the Safety and Security section on the country information page. Do not travel to the Chaambi Mountains National Park, including the town of Kasserine, near the border with Algeria due to ongoing armed conflict between Tunisian security forces and militant groups. Do not travel within 30 kilometres of the border with Algeria, in the military zone south of the towns of El Borma and Dhehiba, and within 50 kilometres of the border with Libya, including the town of Ben Guerdane, due to the threat of terrorism, kidnapping and the presence of armed groups. Exercise vigilance The Ministry for Foreign Affairs and Trade Promotion advises Maltese citizens travelling to Tunisia to exercise caution, following the incident of 8 July 2018 that saw militants attacking security forces in Ain Sultan and killing six members of Tunisia’s National Guard. Following the terrorist attacks in popular tourist areas in 2015, the Tunisian authorities adopted new counterterrorism measures in the capital and in the rest of the country. Security forces now guard major cities and tourist resorts, and security measures have been strengthened at ports, airports, and principal roads. The state of emergency declared in 2015 has been repeatedly extended, most recently on 5 October 2018 by one month. The Austrian Government advises again travelling Tunesien.